West Country Fencing Supplies stock and supply all types of wire products. 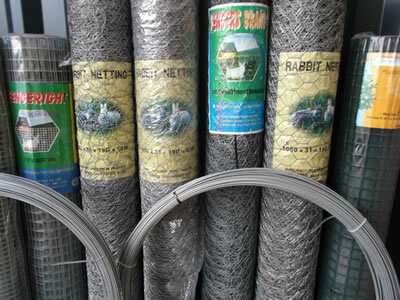 In addition to the most popular Stock Fence, Barbed Wire and Plain Wire, we also stock Rabbit Netting, Chicken Wire, Wire Mesh and Welded Mesh in Galvanised and Green PVC coated varieties. Rolls range in length from 6 meters to 50 meters long. There are wire products available to suit every need and job size, at very competitive prices.